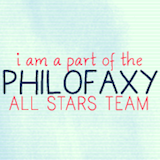 This is a topic I've touched on a little bit here on Plannerisms and also over at Philofaxy. I don't want to get picky about semantics, I'm just fascinated by the cultural differences in how we use our planners/ diaries. In the US, your planner (or daily planner, or agenda, or whatever; there is no standard definition) is where you schedule appointments. Your journal is where you write about your experiences, thoughts and feelings. Sometimes people combine the two into one book, but the ideas are distinct. In the US the word "diary" conjures up an image of a 13 year old girl, alone in her room writing in a pink book, "Dear Diary, today Todd talked to me! EEEEEEEEE!!!" If you make a reference to your "diary" in the US you will probably get a smirk at the least, or maybe even a "Dear Diary" comment. I love the British version of a diary, where people schedule upcoming events and appointments, and also record what happened. (Correct me if I'm wrong please my British friends!) This is what I want. I need to plan, and I need to keep a record of my days. In the past when I've kept a journal, I rarely ever look back at it. But I do find a diary, a record, to be very useful. An excellent example of using a diary as a record is Austin Kleon's logbook. Okay follow me here: I was looking around Notebook Stories (I love that blog) and discovered a link to Austin Kleon's website, which is great. (Austin Kleon is an artist, poet and author of the book Newspaper Blackout.) I discovered his very inspirational post How To Steal Like An Artist, which I immediately bookmarked before I even finished reading the post. I was especially interested in "9. Be boring. It's the only way to get work done." His advice is to get a calendar, and a logbook. If you want to go directly to a post specifically about his calendar click here. His calendar is not a traditional one that I think of, it's not about scheduling appointments by time, but more about tracking his work. I was even more intrigued by his logbook, which he keeps in a Moleskine day per page planner. Click here to see his post all about his logbook. It's a not-too-detailed record of what he did each day. This is the type of thing I like, to have a record of my days and to remember what I did. I tend to use my planner to plan things and to record them too, to see what I intended to do each day/ week and then what I actually did. It helps me get better at budgeting my time, and also serves as an excellent reference of when I paid bills, made phone calls, or whatever else I need a record of. Do you use a planner (to schedule upcoming appointments and events), a logbook (to record what you did), or a diary (both combined)? I use a method similar to Kleon's. I have a Space 17 planner for keeping up with appointments and my weekly to-do list. This year I started using the mini Moleskine daily diary for jotting down the facts of each day, what happened and what I did without elaboration (and while I agree with you on the conotations of "diary" for us Americans, I like it as a distinction to "journal"). I keep a journal for general thoughts, ruminations and notes, but I don't write in it every day. I used to keep a daily journal, but found that by the time I'd described my day in some detail, I would often not have enough time for reflection or writing about other things. I like my new system because I'm capturing the details of my day, and I can use the journal for writing about whatever I want, without relation to the events of a particular day. If I don't have time to finish a journal entry, no problem. I just pick it up and continue it when I have time. I'm really enjoying this method of keeping up with my life. Steveareno I like your system of planner/ diary/ journal. Sounds like you've got the bases covered with planning, recording and thoughts! I especially like how you use the diary to record day-specific events, allowing your journal to be more free-form. Laurie, that article by AK keeps on popping up all over the blogosphere but it really is an excellent article. I don't keep a journal or a diary, just my planner which I used to record appointments and record my todos. I think my blog is a pseudo journal. When I look back it captures a lot of what I was thinking about or experiencing at that particular time. I. Love. This. Post. I've read it and the last one over and over and over...I'm having an epic planner fail and this was really helpful, because it helped me decide how I actually use my Filofax, and how I would rather use my Filofax. (Or Planner Pad, I'm so bugged right now I'm ready to chuck both Filofaxes and run back to PP). Any hoo, thanks for another enlightening post and fab links!! Thanks everyone, I'm glad you like this post! I had never heard of AK before and just noticed his post via Notebook Stories, so when I read it it really wowed me. I really like his approach! Rori I SO IDENTIFY with your planner frustration!! I hope you get something figured out soon that you like. I think we have been here before about the definitions of diary/planner/journal/agenda, but it's quite fun how it changes. Agenda to the British would be something you draw up for a meeting. Sort of the items to be discussed for the meeting. When the meeting has happened you write the 'minutes' of the meeting. These record what was discussed and who got what actions etc. An Agenda to the French is a diary/planner it is for planning future events. Diary to a Brit can be past and future, but I often see them as quite conflicting requirements. Journal is always a past activity to me. Personally I've often separated future and past functions in terms of Filofax organisers, and often used two different organisers, one for present and future the other for past. But I'm re-evaluating this at the moment... more to come this weekend!! Steve yes I forget which post it was but over on Philofaxy awhile ago in my comments I got into the definitions of planner vs. diary. It's always fascinating to me how people use their books, and the cultural differences too. as you know i use a filofax as my diary to plan appointments, to do lists, etc, but if i do something on the spur of the moment, such as go out for dinner with my flatmate, i always make sure to write it in retrospectively as if it was an appointment. this has proved really useful in the past - when my boyfriend and i first met, we were seeing each other quite casually so we don't really have an official 'anniversary'. we managed to work out when we should celebrate the anniversary of our first date by consulting the diary i kept at the time (incidentally a pocket moleskine). our first date wasn't really arranged or planned, but because i wrote it in my diary retrospectively we still are able to remember the special date! I really like the idea of the logbook, especially when there is little time at hand to journal, it's easy to just log what happened. One could then easily jump back in time to find the facts with more meaning and start journaling. I think I will try to add a logbook style recording into my journal, otherwise there would be another Moleskine needed. Just googled the difference between a planner and journal and ended up here. I am British and use a diary as you say like a planner. But, with the internet i had wondered about printing off planner sheets, as I wasn't sure the difference. Diaries are useful as they fit in a bag better so can travel, but I guess a planner might be useful if I need to add additional info somewhere.